HoA Laboratory, department of call it a jerry rig and there will be blood. MANDATORY DISCLAIMER! What I describe on this page is dangerous and stupid. Hard drive magnets can give you a nasty blood blister, the key is easily picked, and not all landlords will be as forgiving as mine. This page is reserved for the various mods, hacks and repairs that aren't difficult enough to justify a full writeup, but have come in handy and therefor worth documenting. The term "five minute mod" doesn't refer to the time it takes to finish the project, but rather the time it takes to plan the project. All of these were off the cuff projects done with no planning based on materials at hand. Some of them are useful, some of them are not. The little 3rd hands are not something geeks actually need. It is, however, not something a geek would willingly give up once used. I picked up a 3rd hand for $3 at the Dayton Hamvention and quickly wondered how I survived for as long as I did without one. There's a booth there that has had them for that price for the past 4 years, so when I went back the next year, I picked up a second one. I didn't think I'd use both at the same time, but when this started happening regularly, I decided that having a single octopus (or quartopus, as it currently stands) would be more useful than having two individual helpers. Noting that I rarely used the magnifying glass at the same time as the alligator clips, I make the Super 3rd Hand without the glass. First, I removed the sliding ball joint that held the magnifying glass on, replaced the glass with a clip, and put it on the other 3rd hand. Next I sawed the horizontal bar in half, and mounted it where the magnifying glass originally was with a single hand attached to the other end. This gives me an extra hand that has 2 additional points of articulation and can be extended or retracted depending on the need. This lets me hold more parts more securely in position that would otherwise be decidedly nontrivial. 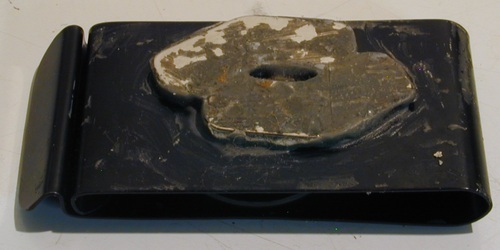 I mixed more epoxy than was needed for a separate project, so I slathered what remained on the back of a hard drive magnet, and mounted the magnet on the back of my bench vise. I can put either the third hand or the magnifying glass on it to help hold parts to circuit boards during soldering. Screws and bolts can also be attached for quick, secure storage. 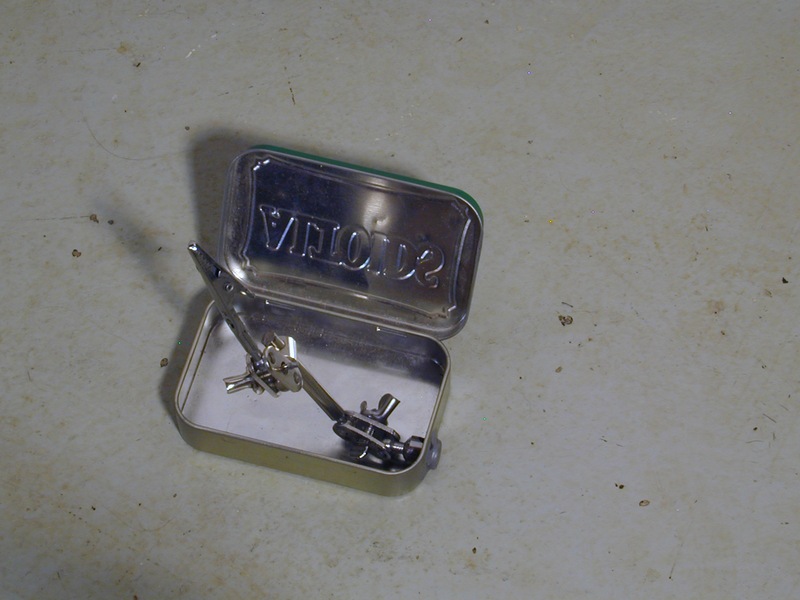 With the left over bits, I added 3rd-hand capability to an altoids tin for mobile use. I drilled a small hole in the side of the tin, epoxied in one of the ball joint bases, and added an arm. For any but light duty work, it needs to be weighted down, but my keyring works well enough. I keep the tin in my laptop case. I had to trim the thumb screws to get it to fit, but there's enough room left over for a variety of useful things. The magnifying glass can be swapped out for the clip for added versatility. This has proved to be one of the best 5 minute mods. It was an off the cuff idea, done with no planning or pondering, and is amazingly handy. I can stick either of the hands on the vise and manipulate obejcts held by the vise, with the added bonus of being able to rotate the vise without having to move the hand. 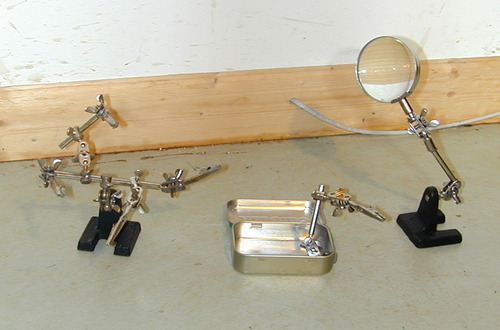 The magnifying glass is essential for soldering SMD chips. I can hold the board with the vise and position the magnifying glass so I can see the tiny .5mil leads. 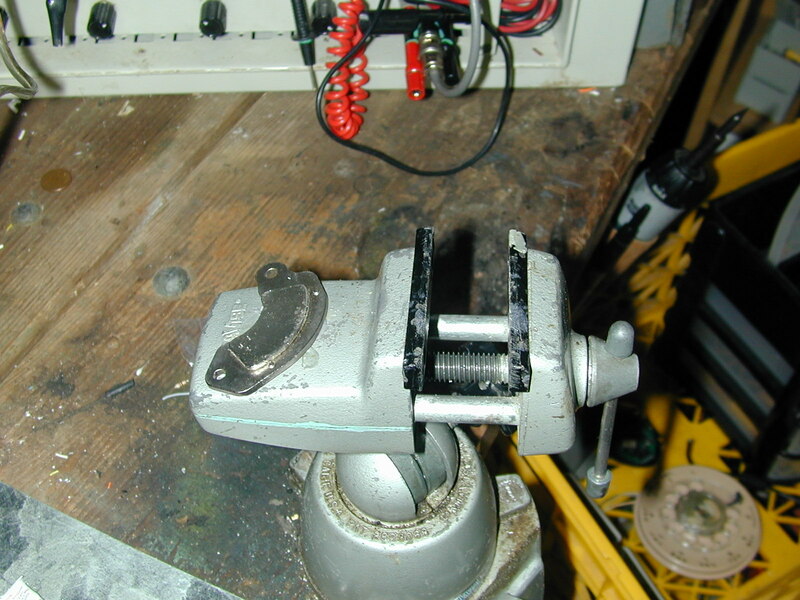 Like the desk clamp magnet, this comes from having spare epoxy & magnets. 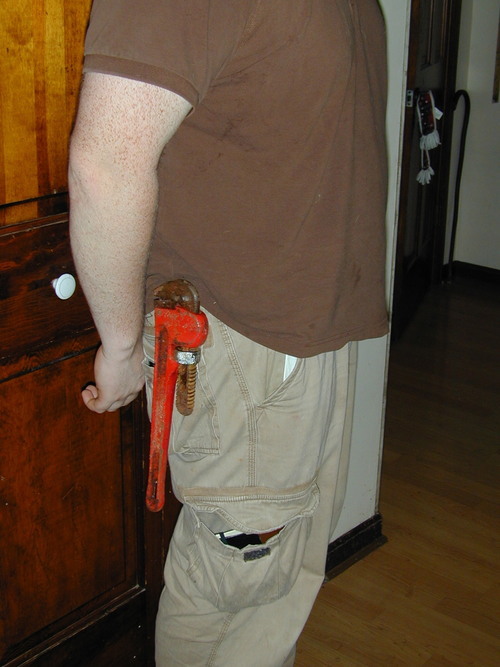 I picked up a holster for my multitool years back that was designed to be mounted vertically on the belt (with a metal clip) or horizontally (using the sewed on strap). I find that a horizontal mount gives faster draw for those situations that I need to have the tool in my hand immediately. The clip was left over, so I tossed it into the big box of random junk. Fast forward to present time, There was some left over epoxy and magnets from a project that involved stashing Nerf guns around the house for when I need them1. I don't like to let mixed epoxy go to waste, and the belt clip struck my mind. As the picture shows, This holds all but my heaviest tools without a problem, and is great for work that requires going up and down ladders, as the tools can be easily removed and put back with only one hand. It's amazingly useful to stash my utility knife, a folding replaceable blade model. The magnet grips the top folding portion, and removing the knife from the belt clip opens it up automatically in one smooth motion. Next best thing to a butterfly knife. Due to oversight, the landlady didn't pass the garage door remote openers to the House of Awesome tenants. This was of little concern, as we decided right away that the garage was not for parking. 4 people sharing a 2 car garage would quickly get ugly, so the unspoken consensus was that the garage was for storage any of my projects that involve hazardous chemicals. This was fine until the newest housemate, Adrian the new hippy, started biking to work. Now to get his bike out of the garage every morning, he had to either press the inside button and walk back through the house or press the button, take a run and an Indiana Jones leap below the closing door and over the optical gate. About this time I was cleaning up the basement lab again (when you start thinking about building a platform to put on top of your workbench to cover all the crap that's on said workbench so you have a space to work in, it's time for spring cleaning), I found a key switch. Somewhere in the miasmous bowels of my mind, a circuit closed and I realized the perfect use. Hook it up to the garage door opener. 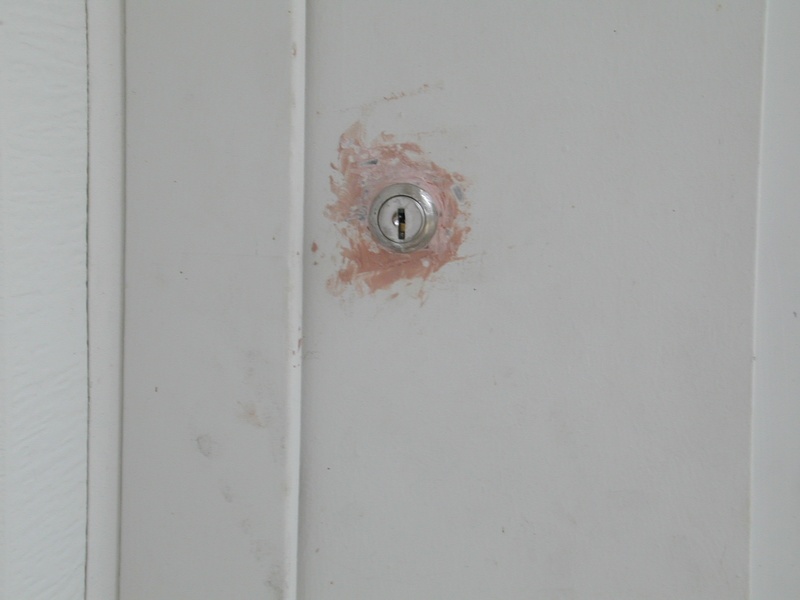 So after drilling a hole in the wall, installing the cylinder and backfilling the hole with bondo, Adrian is free to enter and leave with the turn of a key. The wires for the key switch are hooked in parallel with the standard opener, and a quick turn of the switch starts the garage door. The door is auto start/auto stop, so it does not need to be kept in place the entire time the door is being opened. One of the Housemates, Upstate Jason, is a photography buff. He had a trip to Sault Ste Marie planned but couldn't find the camera mounting insert for his tripod. He'd been planning and looking forward to this trip for a month, and the entire point of the trip was to go back to a place he once lived and take massive amounts of pictures. There was neither the time nor free funds to order another tripod, so it fell to the house engineer to solve the problem. 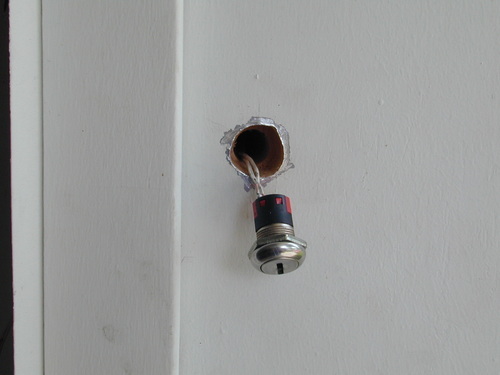 This is a simple hack, a handful of ShapeLock and a screw made a crude, yet adequate substitute. It also gave me an excuse to play with the newly acquired ShapeLock. 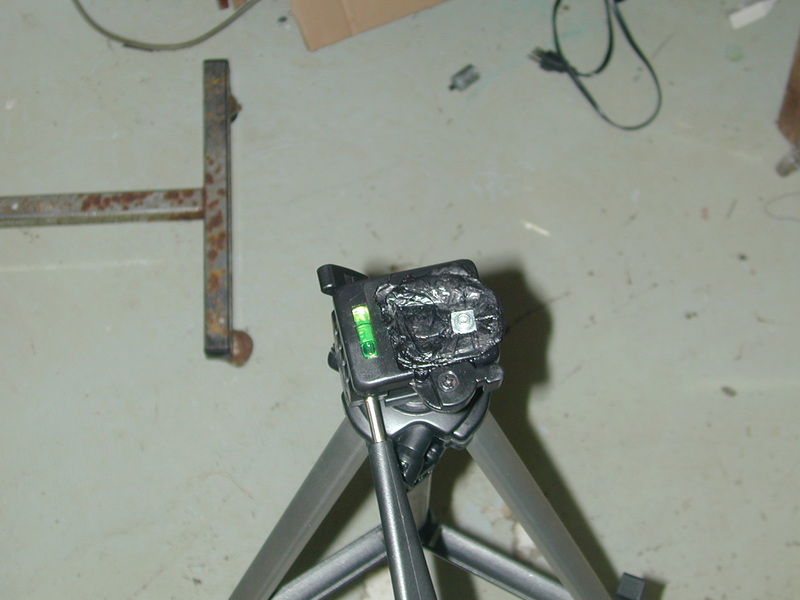 It works well enough, the screw is slightly tilted, so the camera has to be tilted to adjust it if multiple pictures were taken, but given the time and effort invested vs the cost of getting it replaced, I think the results speak for themselves. Keep the tripod head on your camera, on the tripod or else. If you wish to comment on these mods, send me an email at p@ohbah.com.